It’s Christmas and I am driving back from a party for kids that come from a shelter. My dear friend, Dan Quintero, from the Kips Bay Boys and Girls Club always helps me to put this together along with donations from a lot of my dear friends from the Yankees and Alfred Zaccagnino, a pal that I grew up with and who understands what being poor is all about. He may be successful now but he has never forgotten where he came from. Like me, Alfred lost his mom last year and is going through his first Christmas without her. I’m also going through my first Christmas without my Dad. I also lost one of my idols this year, Gene Michael. I would usually be having lunch at this time with “the Stick” and Ken Fagan, an Air Force veteran and very dear friend. When I got into my car after the event I started to cry uncontrollably. I guess I was feeling sorry for myself and feeling sorry for all those kids from the shelter and what they had to go back to and the fact that I’m also limited as to what I can do for them. I decided to put on the radio to distract myself. All of a sudden, a song came on that I had not heard in many years called “I Believe” by Elvis Presley with the Royal Philharmonic. It touched every emotion that I was feeling at that moment and I honestly believe that it came on to deliver a message to me. The words were very profound and right on the money and all of a sudden my tears turned from deep sadness to a true form of understanding. I went from having a tough time catching my breath to being able to breathe again. While being caught in crazy traffic because of the Christmas rush, I got a call from my son Jon-Erik who as most of you know is a police officer. He had received a call the evening before that a couple was in trouble on the road, a mother was going into labor. Jon-Erik and police officer, Michael Schneider, were first on the scene and had to assist in delivering the baby. It was a beautiful little girl. What’s incredible in the song, “I Believe” is that there is a verse in the song that says “every time I hear a new born baby cry it tells me I believe.” In life, everything is for a reason. Baseball Hall of famer, Reggie Jackson, is Jon-Erik’s God father. If he is known as Mr. October for his World Series exploits, then Jon-Erik and Michael Schnieder should be known as “Mr. December” for their wonderful effort in helping to bring a new life to this world. The Suffolk County Police Department, Jon-Erik and Michael should all be very proud and always remember the Christmas of 2017. If that’s not enough, I must tell you that another great friend of mine Tony Melendez, the head of the Bronx Hanks Yanks, our youth baseball organization, was walking home from the baseball facility when he saw an object in the street. It turned out to be a puppy all covered in snow, shaking profusely and was headed out in the street. Like the athlete that he used to be, he ran out onto the street and grabbed the little dog before it got run over by a car. Tony and his wife Jessy cared for the puppy for two days until they found its rightful owners. I must add that when Tony and Jessy gave the puppy back they cried like babies but they made themselves honorary God parents and volunteered to babysit when needed. We gave a nice Christmas party to the kids at the Castle Hill section of the Bronx, a party at the TM Baseball Academy, the home of the Bronx Hanks Yanks. At the start of the party, an amazing rendition of the Star Spangled Banner was sung by Brandan Hernandez, a Hank’s Yanks player from the Bronx. He has also performed for the past three years at the US Open. 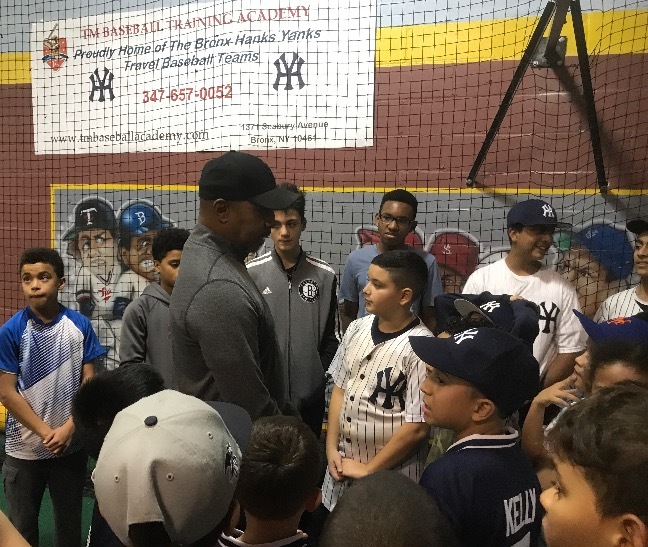 The great Willie Randolph was at the party and gave his heart and soul to the kids. Also present was Dom Scala, former Yankee bullpen catcher from the World Championship teams of the 70s. We even brought in former Yankee batboy and Bronx resident Luis Castillo who talked to the kids about the greatest time of his life and how great the Yankee players made him and all bat boys feel. Rich Mancuso, the terrific boxing writer and analyst, was there with up and coming boxer Jeffrey Gonzalez, who showed the kids some of his moves. The event was televised on Bronx Net and Manhattan Cable. For one night all of the kids felt like stars. A special thank you to all the parents who brought in food to feed everyone and all the companies that donated toys for the kids. A special thank you to Hank and Julia Steinbrenner for always being there and to the whole Yankees organization for giving the Bronx and the city of New York a reason for always feeling proud. If there are people out there that may be going through a difficult time at this time of year then I recommend that you listen to the song ‘I Believe ‘ by Elvis Presley. It will help. Merry Christmas to everyone and as my wonderful friend Jose Feliciano has been saying for so many years, Feliz Navidad. When your as blessed as me, having worked for the New York Yankees for over 44 years, you get to meet a lot of famous people. Some great, some not so great. Some nice, some not as nice. People from the world of Stage, screen, television, sports and politics. I come from such humble beginnings so I find it a true privilege to meet many of these individuals who have accomplished so much. Since the time I started with the Yankees at the age of seventeen, I was into the TV shows like the Brady Bunch, Happy Days and of course the Partridge Family. My long time pal, Aris developed his first “man crush” to Keith Partridge, who’s real life name was David Cassidy. When the Yankees went to the 1977 and 1978 World Series to play the Dodgers, myself and the other bat boys met a lot of the kid actors in Hollywood. (One of the Batboys actually got to go on a date with Joanie from Happy Days.) I remember Greg from the Brady Bunch being very cool and even though he was rooting for the Dodgers, he was very excited about meeting Mr October, Reggie Jackson. One experience that I will never forget was when David Cassidy came to one of the games and created a nightmare for security at Dodger Stadium because he had purchased his own ticket and they didn’t know that he was coming. At this time, he was actually as big as Elvis. We got to meet him by the clubhouse area because his dad, the actor Jack Cassidy, had been friends with Billy Martin. David could not have been more cool—just a nice kid who actually liked baseball. Even though I would never see him again, I never forgot that wonderful experience in LA. The last few years, I had heard that he had some issues with drug and alcohol abuse and I wished that I would have tried to reach out to possibly help him since I have the arsenal of friends that I do in the field-but unfortunately I didn’t. Like me, he recently lost his mom to dementia. Like me, he lost his best friend and went through the true pain of losing your mother and knowing that you will never see her again. Two days ago, a neighbor of his told me that he had been very ill and his organs were shutting down and yesterday I heard that David Cassidy had died at the age of sixty seven. 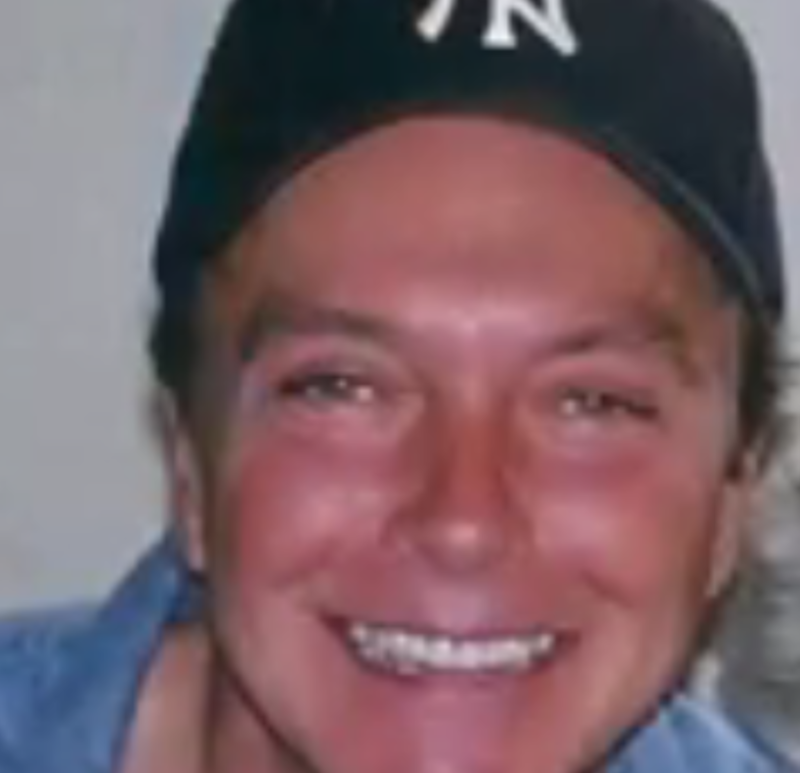 For me, I feel that it is much to soon to lose anybody, let alone David Cassidy. I write this piece to say thank you to a person that helped make my childhood a little bit better. With the passing of time we naturally loose a lot of people in the sports and entertainment world and we take a lot of them for granted. Even though they make a lot of money and are adored by millions, that wealth sometimes comes with a price and a lot of times they just don’t know what that price is. Two of the greatest players of their generation and maybe the all time very best at their positions are Ozzie Smith and Robbie Alomar. Both won ten or more gold gloves, were on ten or more All Star teams, World Championship teams and both knew how to win. I spent some time with Ozzie on my ESPN Deportes 1050 radio show right after the Hall of Fame announced the players that are eligible this January. I have known “The Wizard of Oz” for most of his career. We got to know each other through our mutual friend Joe OKs, the owner of Portabella, the men’s clothing store to the baseball stars, and for our shared admiration of George Steinbrenner. Ozzie understood the Boss’s contributions to the game and became a fan because of it. One thing I love about Ozzie is the fact that he really understands all the little idiosyncrasies about baseball and also understands why the game is so important to our society. I asked Ozzie who he would vote for if he had one vote. He quickly responded by saying,” Omar Vizquel. Omar was a magician with the glove, he was the best that I ever saw.” I asked Ozzie if that included himself and Ozzie laughed and said, “No comment.” I told him that I would let him off the hook. Ozzie also added that if you look at Omar’s stats, his numbers compare to most shortstops in the Hall of Fame. After the Wizard, Roberto Alomar came on the show. I have known Robbie since he was seven years old. We are literally like brothers and extremely honest with each other about everything and anything. He is one of my sons godfather. Robbie said, “Omar was an extremely good teammate. If someone would ever have something bad to say about Omar then I would really have to question that person. That’s how good a person he is.” At that point, I said to Robbie, “So your saying that he was better than Ripken?” Robbie laughed and said, “Apples and oranges.” “Ozzie and Omar were the two best I’ve seen defensively and Ripken and ARod were two of the best offensively.” Robbie added that Omar became a terrific hitter right before his eyes. Whatever happens at the announcements for the Hall of Fame next month, I just hope that the voting committee gets this one right because besides being more than worthy, the three new letters (HOF) after his name will make him one of baseballs great ambassadors. But then again knowing Omar, I know that he already is. This Saturday you can listen to Omar Vizquel at 12pm on ESPN 1050am IMPACT! During my years as a Yankee batboy I got to meet and work with a lot of kids that were very proud to put on the Yankee pinstripes. As batboys we were made to feel like a part of the team by most of the players. The harder we worked, the more the players made us really feel at home. We had kids of all types, black, white, Latin, skinny, fat, rich, poor, some had even been gang members but the Yankees had no idea. Some of the players knew but said that as long as they stayed cool and out of trouble, they were ok with it. One security officer even went so far as to tell George Steinbrenner about one of the kids. The boss asked the officer if the kid had done anything wrong while working for the Yankees and the officer said “no” and the Boss told him to mind his own business. A lot of these batboys, I’m proud to say, went on to do great things with their lives. One batboy, Thad Mumford, went to Hollywood to become an award winning writer for the famous TV Series called Mash. Another, Seth Herbst, would become one of the biggest gynecologist in America. Hector Pagan would become one of the most celebrated DEA agents in America. Joe D’Ambrosio would go on to work with some of the biggest acts in music including the Eagles. And then there’s John Blundell, who became the head of PR for Major League Baseball. I mean the list goes on and on and the Yankees aren’t even aware of the incredible foundations that they had created for so many of these kids. I know that I have the life that I have today and can be proud of my kids because of the first job in my life- a Yankee Batboy. Another one of these batboys was a kid that I would meet in 1979 by the name of Errol Toulon. Errol was an African American kid from the Bronx. Errol looked more like a baseball player then any batboy that I had ever seen. Plus he had a nice Afro hairdo. (Not as nice as mine but nice.) He also loved to put on his uniform and just stare at himself in the mirror. He never knew it but I use to tell Thurman Munson that he was staring at himself again and Thurman would say –looking good kid with a big smile and Errol never knew that we were teasing him. Thurman was always close to the batboys and I remember him always patting Errol on the back. Unfortunately, Thurman died that August 2nd but would leave a wonderful impression that Errol would carry with him to this day. Bobby Murcer also made a big impression on Errol and years later when Errol would battle Cancer, Bobby would reach out to try to encourage him to keep fighting. (It’s ironic that Bobby would die of cancer a few years later.) I asked Errol which Yankee touched him the most and he said,” Willie Randolph.” I asked him why and he said that because they were closer in age they probably talked more as well as having more in common. When Errol went to college he always wore Willies number, 30, on his baseball uniform. When Errol finished school, he worked twenty five years as a corrections officer at Rikers Island. He retired, moved to Long Island and started a whole new career. 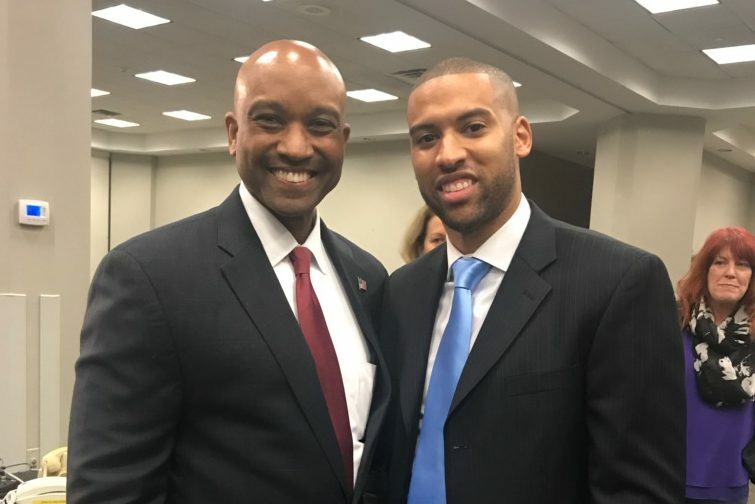 My son, Jon- Erik Negron, is a police officer and union delegate for the Suffolk County Police Department. As a teenager he was a batboy for the Cleveland Indians. During the recent elections he asked me if I knew someone named Errol Toulon. I told him that if it’s the same guy that I’m thinking of then he used to be a Yankee Batboy. Yesterday it was announced, after a close race, that Errol Toulon will be Suffolk County’s new sheriff. (When someone overheard that he was a batboy during the Jackson/ Munson era, they said that if the public knew this during the election then Errol would have won by a landslide. Everyone laughed.) Errol has become Long Island’s first African American non judicial countywide elected official. After the results were announced, Errol said.”Clearly voters heard my message of what I want to bring to the sheriff’s office.” “ I hope that any individual, no matter what race, ethnicity or gender, if they pursue their dreams or their goals they can achieve anything they want.” Errol looks forward to combating gang violence and the opioid epidemic and introducing a re-entry program for those leaving county jails. The New York Yankees should be proud that this all started at Yankee Stadium in the Bronx, it’s beautiful to come to the realization that the batboy has become BATMAN. In 1973, George Steinbrenner bought the New York Yankees and said that he had a five year plan for the Yankees to become winners. That following season the Boss and Gabe Paul, the first GM of the Steinbrenner era, made a series of trades to help to move the plan along to make the Yankees better. One of the trades got the Yankees left handed pitcher Rudy May and a very good second baseman by the name of Sandy Alomar. Sandy wasn’t the greatest second baseman of all time but he was very solid. Sandy was a leader and he gave off a winning attitude. Thurman Munson said at the end of that season, that it was not a coincidence that we really started to jell as a team when Sandy got there. I don’t think that I have ever known anyone in the game that knows more about baseball then Sandy. Alomar had two little boys that he used to bring to the ball park every day, Sandy Jr and Robbie. Sometimes at the end of games they used to sit by their dad and listen to him talk to the other players as he would analyze certain parts of the game. Sometimes the two boys would even ask questions. But not kid type questions, intelligent questions. Robbie always had a glove in his hand-always. When Billy Martin became the manager and they traded for Willie Randolph from the Pirates for Doc Medich after the 1975 season, Billy thought that the Yankees should keep Sandy as a utility player and mentor to Willie Randolph. The Boss was totally in agreement with that because he knew Sandy was like a player coach. This was why, thirty years later, when Willie Randolph became the Manager for the Mets, the first thing he did was hire Sandy Alomar as his bench coach. Willie never forgot the things that his mentor taught him and wanted the same things thought to his Mets team. It is also no surprise that Sandy’s two little boys would grow up to become all star major league players and Roberto would become the greatest second baseman of all time and is enshrined into Baseballs Hall of Fame. They are truly baseball royalty. Sandy Sr would coach for several teams after his playing days and manage winter ball in Puerto Rico for many years. He and his sons helped to pave the way for many players from the island to become terrific players in the big leagues. All three of the Alomars would have been wonderful big league managers if the opportunity had ever arisen. When Reggie Jackson left the Yankees after the 1981 season, he went to the California Angels on a five year free agent deal. During Reggie’s time there I would visit him quite often. The Angels weren’t the Yankees but they were an interesting group. One of the players that caught my attention was their catcher Bob Boone. The reason being that he was a very intense guy. He always seem to have a plan. He studied the other team and liked to share his observations. Bob reminded me a lot of Sandy Alomar. Because Bob was so intense, it was hard for me to get close to him but he sure did have a strong work ethic. Bob also had two little boys that I saw around the Park named Bret and Aaron. Like the Alomar boys from a decade before, the Boone boys were little baseball players. Since I wasn’t a part of the Angels, I would only watch and admire and think back to the Alomars and wonder if this was deja vu. Well we all know what happened. Bob would coach and later manage the Cincinnati Reds, son Bret would become an Allstar player for the Seattle Mariners and Aaron would hit one of the most famous homeruns in Yankees history. Oh and by the way, Aaron was also named manager of the New York Yankees after spending eight years in the broadcast booth for ESPN. Naturally some people are going to question the fact that Aaron has never coached or managed at any level but neither did former Yankees second baseman Jerry Coleman who left the broadcast booth for the San Diego Padres to do a fine job as a manager. In talking to some of Aaron’s colleagues, including Harold Reynolds who I consider one of my closer friends in the game, I think the Yankees have made a good and exciting choice for both the Yankees and their very loyal fan base. I can guarantee you that between Brian Cashman, the Steinbrenner’s and the Yankees brain trust, there is a solid plan in place and evidently Aaron Boone is the right ingredient for that plan. Let’s not forget that last week Cashman was awarded MLB executive of the year. The Boone family, like the Alomar’s, are baseball royalty and if you have any of them associated with your team then your going to be better for it and you are going to have a real good chance to win. 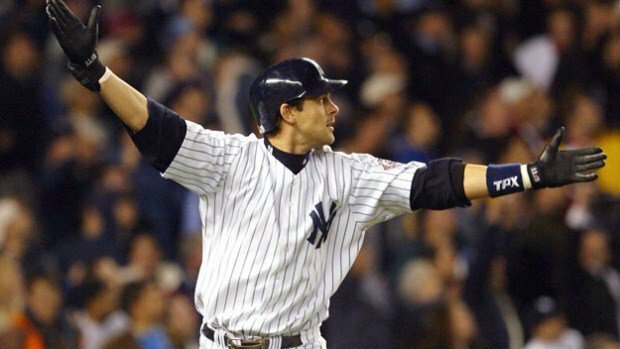 I am a very old school guy, however when you take a look at the Yankees and all that youth and talent, then Aaron Boone might just be the right choice at just the right time.